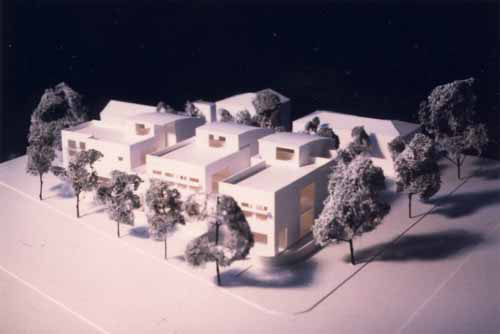 This Project addresses the changing relationship between living and working, by combining the home and the office. 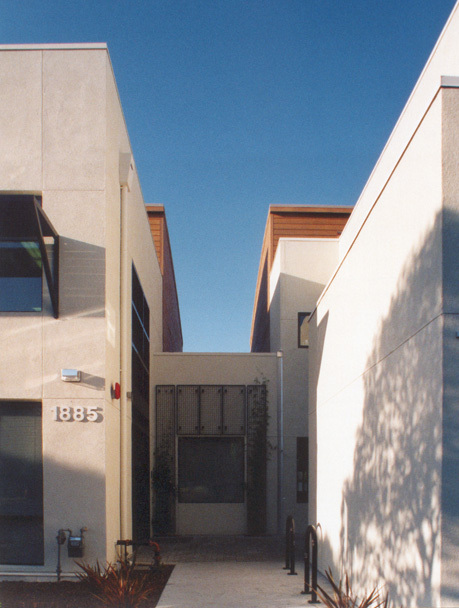 Carrasco & Associates has created a contemporary design for this group of three - 3,290 sq. ft. units, each of which contains 1,775 sq. ft. of commercial space for profesional office and 1,515 sq. 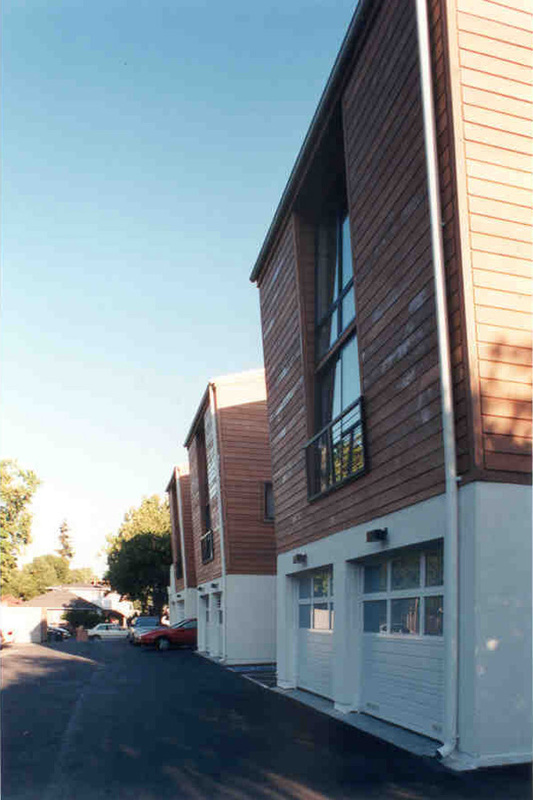 ft. of residential studio/loft and parking. Each unit of office/residence is to be used by the same occupant group - the staircase and entrances are shared. 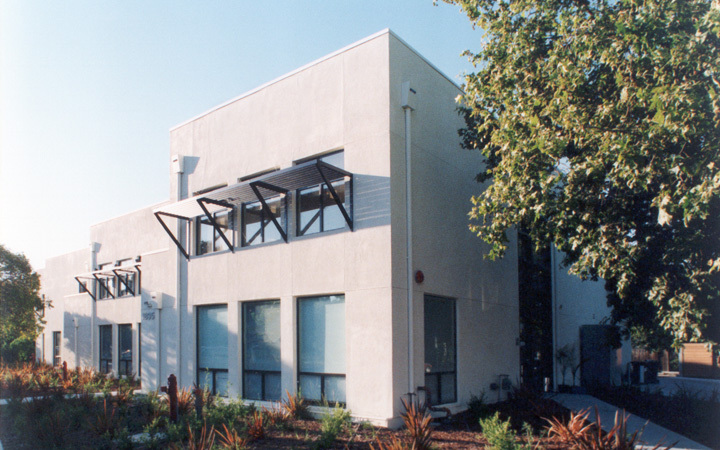 The building is located on El Camino Real, a very busy arterial street; thus, the design places the office functions between this street frontage and the residential fuctions.